On Saturday, the deadly Hurricane Matthew made landfall in South Carolina. Matthew punished the southeastern states with heavy rain, winds, and record-breaking flooding in North Carolina. Thousands of people remain displaced from their homes, and tragically, to date, thirty-four Americans have lost their lives in the storm. Many in the marine industry are familiar with dramatic post-loss photographs of recreational boats impaled on pilings or crashed onto land after being swept up by a storm surge. There is no doubt that many boats have incurred damage as a result of Hurricane Matthew, whether they were flipped, sunk, battered against docks and pilings, or carried ashore. Even educated boat owners who took recommended precautions, such as moving their boat ashore and having it anchored, may have suffered potential total losses due to significant structural damage. Physical damage to the vessels themselves are not the only recreational marine claims that can be expected from this storm. Liability claims are also likely. 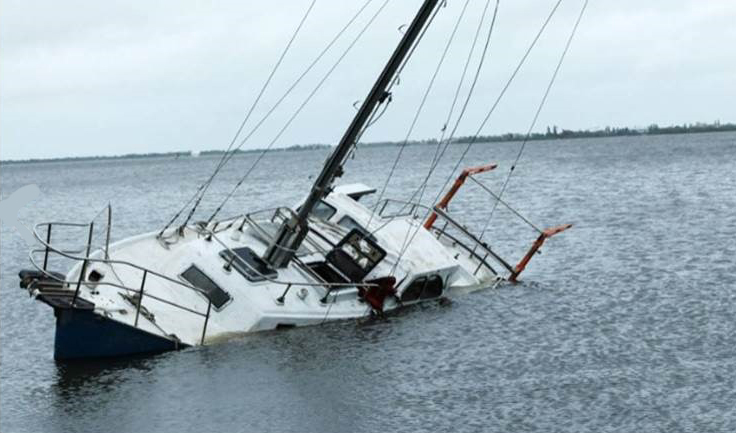 Consider the claims that can be made against the owner when their boat did get carried ashore, if the result is damage to the property of others. Many recreational boat policies provide liability coverage that pays damages for property damage an owner-insured is legally responsible for, arising out of the ownership, maintenance, or use of their boat. But what if that damage could have been avoided had the boat owner took proper precautions before Matthew hit? That boat owner could risk a possible denial of coverage, as well as uninsured liability for the damage caused. Hurricane-damaged boats have also been known to cause oil spills. Fuel spills and the resulting clean-up costs may be covered by liability provisions in marine policies. “Accidental fuel spill” usually means the sudden and accidental discharge, spillage, or leakage of fuel, oil, or lubricants required for the normal operation and use of the boat. A question could be raised, however, as to whether a spill resulting from an expected storm is accidental, if precautions were not taken. Following Superstorm Sandy, a record-breaking number of recreational boats were reported damaged. Of those damaged, however, only about half were reportedly insured. One would hope that boat owners learned a lesson from that experience. Current estimates anticipate Hurricane Matthew damage claims to exceed $4-6 billion. For marine insurers, the full extent of claims arising from Matthew remains to be seen, but will likely involve hull, equipment, and liability coverage.